Rocket-Propelled Game: Microlite: Feats of Power III - this time it's Clerical. Microlite: Feats of Power III - this time it's Clerical. 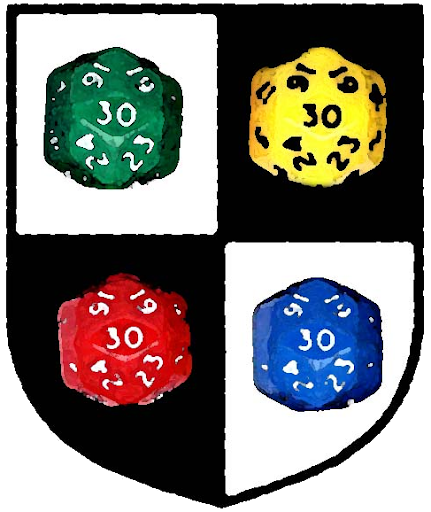 Once per session you can either re-roll a dice you just rolled, or force the DM to re-roll a dice he just rolled, on the condition that the outcome of that roll effects you. The second roll stands, even if it's worse (for you) than the first one. You get +2 on the Knowledge skill, and can cast all 0-level mage or illusionist spells, as well as arcane spells from scrolls. When an enemy attacks you in melee, you can expend a Turn Undead attempt to deal that enemy the same amount of damage as you take. When you cast a healing spell, you can expend a Turn Undead attempt to roll d10s instead of d8s to see how many hp you heal. You can throw small bolts of lightning as a ranged attack. Essentially, they work like a thrown spear (including your Strength bonus to damage), except their use your magic attack bonus to hit. Additionally, if you expend a Turn undead attempt, the bolt deals double damage. Any time you would normally grant an ally a bonus on a roll (through aid another, flanking, a spell, etc.) they get an additional +2 on that roll. You can expend a Turn undead attempt to grant an ally a +3 bonus (including the extra bonus from this feat) on any one roll they are about to take. you can provide illumination sufficient to see by at any time you like. Additionally, if you expend a Turn Undead attempt, all allies within 60 feet of you get +1 on all rolls for 1 round. You get a +3 bonus to Subterfuge, and can expend a Turn Undead attempt to make a sneak attack like a Rogue.